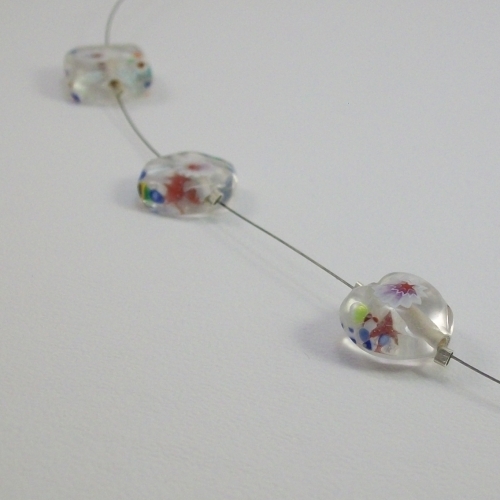 Pretty clear glass millefiori beads with white flowers and speckled patterns on a silver tone wire. 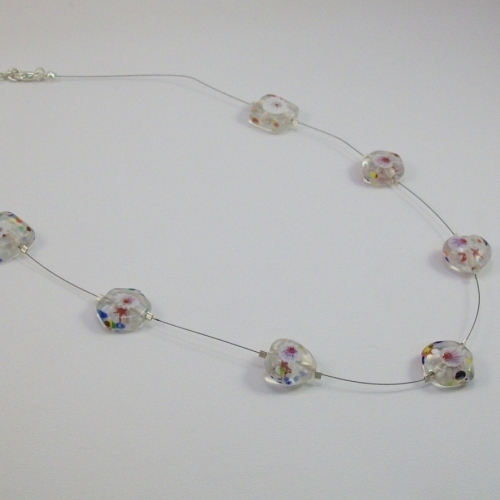 The beads are hexagon, square and heart shaped, so could make a pretty valentines gift. Fastens with a lobster claw clasp. 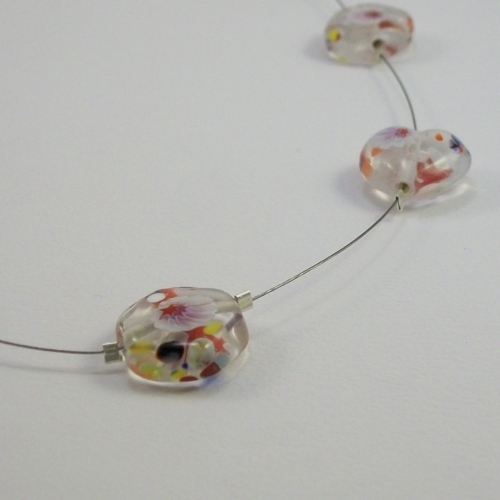 All findings are silver plated and nickel free.